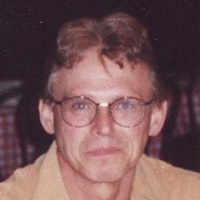 Obituary | WILLIAM 'BILL' ROCK | Anderson Funeral Home, Ltd.
William (Bill) Rock passed on peacefully at Kishwaukee Hospital March 8, 2019 after a brave battle with COPD. Born April 3,1945, Bill was a member of St. Mary's Catholic Church and graduated from DeKalb High School in 1963 where he was a member of the varsity wrestling team. Bill earned his Associates Degree from Elgin Community College while tending bar in the DeKalb area, eventually managing DeKalb's Eagles Club followed by over 20 years employment at NIU's Building Services. An avid follower of NIU's Huskies as well as Chicago's Cubs, Bears and Blackhawks. Bill, also, fervently contributed to many charities and missions over the years. Bill was a well known pool, billiards and bridge player. Bill was preceded in death by Ruth & Eugene Rock (parents), and brother John Rock. He is survived by siblings Anne, Kathryn (Burdick), Margaret (Lachance), James, Virginia, Laura (Drezner), Liz (Stefinsky (Rick), and Pat (Deiss (Steve). Bill is also survived by nieces and nephews, Jenanne Rock (Ben Loftus), Stephanie Burdick, Colleen Burdick, Jason LaChance (Kristen), Christopher Rock, Jonathan Rock, Gianina Guillot, Maranda Drezner, Jennifer Wisser (Steve), Richard Stefinsky, Timothy Stefinsky, (Christine); Rachel (Jeff), Michael Deiss, and Meagan Deiss; great nieces and nephews, Owen, Kaitlin, and Aiden Loftus, Connor Burdick, Sarah Williams, Ella and Jack Lachance, Katie and Courtney Wisser and Madilyn Orkfritz. The Funeral Mass will be held at 10:30 a.m. Friday, March 15, at St. Mary Catholic Church, 321 Pine Street in DeKalb, with Fr. Dean Russell celebrating. Cremation will follow, with burial of cremated remains on Saturday, March 23, at St. Mary’s Cemetery in Tampico, Illinois. Visitation will be from 4:00 p.m. to 7:00 p.m. Thursday , March 14, at Anderson Funeral Home in DeKalb. In lieu of flowers, memorials can be made to the William E. Rock Memorial Fund, addressed to the Rock Family in care of Anderson Funeral Home, P.O. Box 605, 2011 South Fourth Street, DeKalb, IL 60115. © Copyright 2010 - 19 Anderson Funeral Home, Ltd.. All Rights Reserved.